Believe it or not, all of these serious health conditions can be directly affected by your oral health. The health of your mouth is a direct indication of the health of the rest of your body. Your entire body is one complex machine that runs off the same system of nerves and arteries. Inside your body is one huge blood stream that runs from your brain, to your fingers, all the way to your little toes – and then back again. While this seems like elementary biology, the truth is that an infection in one part of your body can easily travel to other areas of the body. The mouth is home to millions of bacteria, some of which are good and some of which are harmful. Decay, gum disease, and infections inside the mouth can easily pass into the blood stream and pass into other vital organs. 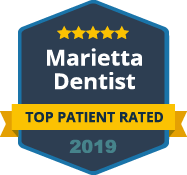 Understanding the connection between your oral health and your overall health is extremely important. It is also why visiting your dentist on a regular basis should be a priority. Your dentist does more than just clean your teeth. 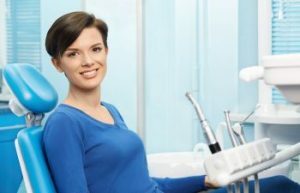 Regular dental visits include scraping away bacteria-laden plaque before they cause infection, examining your mouth, and looking for any suspicious signs of concern. Certain illnesses like diabetes and cancer often present their first signs inside the mouth – where most people would never think to look. Dentists are well known for spotting signs of serious concern long before other warning signs or symptoms become evident to patients. Your dentist offers much more than just clean teeth – your dentist offers life-saving intervention. The Dental Care Center at Kennestone wants to partner with you. 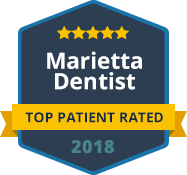 We encourage you to make dental visits a priority. Call today to schedule an appointment.